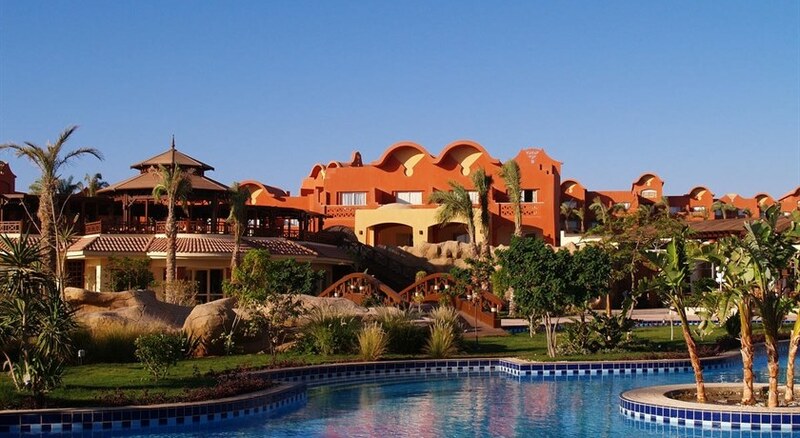 Sharm Grand Plaza Resort is located on the southern side of Sinai Peninsula. The resort features a private beach, 4 outdoor swimming pools, 1 children's pool, an indoor game play area and a health club. The hotel arranges for different diving and water sport activities to make your holiday enjoyable. Sharm Grand Plaza Resort has rooms with modern amenities, elegant furnishings and stylish bathrooms. The room has satellite television, television and other room amenities. There is a balcony offering beautiful views of the city, garden or pool. WiFi connectivity is provided inside the rooms. 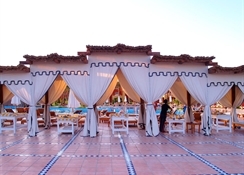 Sharm Grand Plaza Resort has 6 restaurants serving delicious food. The restaurants serve traditional Egyptian food and Falafel. Some restaurants also serve a'la carte. Lobby Bar, Luna Pool Bar, Nino Pool Bar and Beach Bar are the bars at the Sharm Grand Plaza Resort. The bars serve refreshing drinks and light snacks. 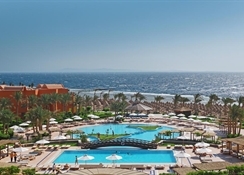 Sharm Grand Plaza Resort has a swimming pool, health club and a kids club. The hotel keeps its guests busy and makes their holiday enjoyable by organising for different activities and entertainment programmes. The hotel also arranges for diving and water sport activities for all the water lovers. Sharm Grand Plaza Resort is just 2 km away from Sharm El Sheikh International Airport. The hotel is also near to Scubadreamer and Dolphina Park. Sharm Station Tours, a company offering different excursions and other activities for the guests, is also near the hotel. A few restaurants, namely, Cafe Royal Sharm El Sheikh, Panorama and Natraj Indian Restaurant & Lounge are also near the hotel. One swimming pool in Grand Plaza Resort will be heated starting from January, 21st, 2018 till March 21st, 2018.